Even though Toukiden 2 lacks depth in its combat, the game still manages to provide a story and world that players will enjoy spending time with. The Toukiden games are hack and slash RPGs with a playstyle that clearly hankers after the Monster Hunter series. 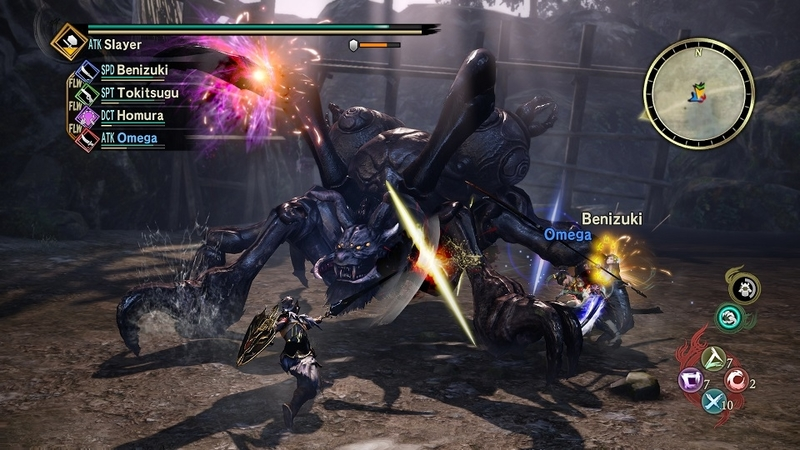 Toukiden 2 continues many basic traditions of the genre, while still putting a unique stamp on the story and combat. After creating my character, the game threw me straight into a battle against Oni. These demons had just crashed their way into the world and were intent on destroying everything in their paths. During a combat tutorial, a huge Oni rudely interrupted by throwing me 10 years into the future. This set-up implied that the story would focus on my character trying to go back to their own time while dealing with their convenient amnesia. In actuality, Toukiden 2 isn’t really about any of that. The game’s focus is on the village of Mahoroba that I happened to land myself in. Here, the people are surviving in a devastated world where Oni are still a constant threat. More interestingly, however, is the political conflict between the insider Guards and outsider Samurai. While not all plot points hit, there were some surprisingly deep moments and I easily became invested in the characters. Mahoroba quickly became more than just a basic hub. My connection to the village and its occupants made the normally repetitive process of hunting and crafting much more meaningful. 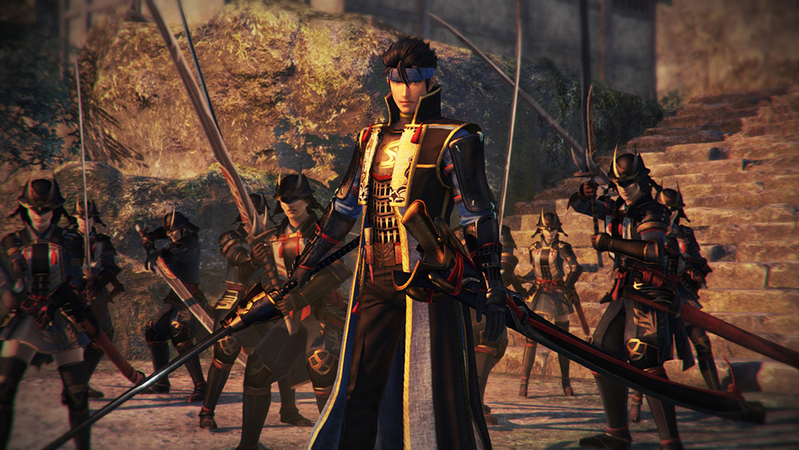 Most of the story missions required going out and exploring Toukiden 2’s open world. There were so many things to do outside that it was easy to get distracted. NPCs littered the map asking for help finding materials, revenge missions, and forming alliances with the more adorable wildlife. I actually had problems finding my way around at times. Despite being able to set a destination on the map, blindly following the arrow that appeared always led to getting lost. This meant having to constantly open and close the large map screen just to analyze where I was going. It wasn’t overly problematic, but did stop me from fully appreciating my surroundings from being so focused on going the right way. To be fair, the locations in Toukiden 2 didn’t have that much to look at. Now, I had no problem with the graphics or art style, it just lacked that crisp realism – perhaps due to having to work on the Vita system. This may also be the reason why both enemies and NPCs would pop into existence as I travelled throughout the game. It never caused any issues, but led to a few awkward moments where I’d be talking to a character for a number of lines of dialogue before their body appeared. By far the biggest letdown, though, was not being able to traverse the large world with a friend. Parties of NPCs could go anywhere, but online multiplayer was stuck in the locations provided by the specific mission list. It was still fun to pummel enemies with a comrade, but I couldn’t shake the disappointment of being unable to run around the world together. No matter where I was, or what I was doing, defeating Oni was always the primary focus. Combat was mainly a hack and slash affair of wailing on an enemy until it eventually went down. 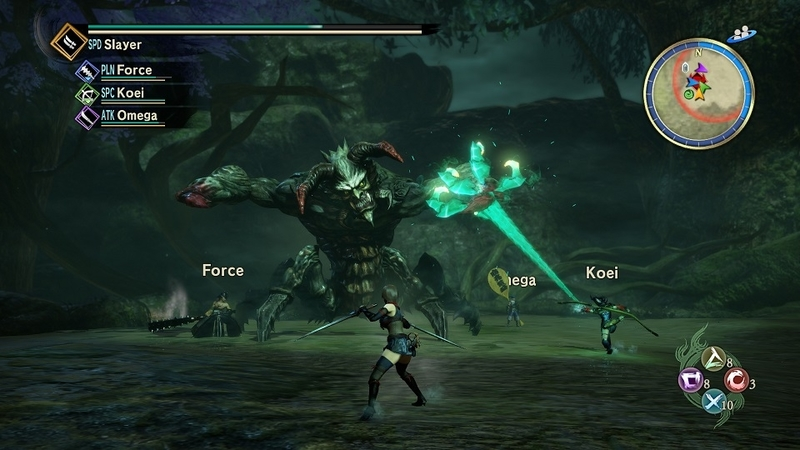 Toukiden 2 delivered a unique approach where it was possible to rip each of the Oni’s limbs off its body. Not only would this drastically deplete their armour, but they could also be purified for extra items. The only problem was that no matter whether the Oni could fly, dash, or spit fire, the strategy required to defeat them was always the same. Hack off the limbs, then attack the body, over and over. Toukiden 2 did provide a number of ways to try and keep combat refreshing. The main gimmick was the Demon Hand, a piece of technology that essentially worked like a Hookshot. It could be used to swing through the open-world, or utilized in fights to fling myself at an enemy. If timed correctly, the Demon Hand could even do some serious damage, making it extremely satisfying to get the hang of. There was also a choice of 11 different weapons that all came with their own fighting styles, and combos. They provided a great way to change things up, even from simple changes like moving from the short-ranged sword to long range bow. Unfortunately, no matter how many Oni I faced and weapons I crafted, they never learnt any new skills. Sure, it was great to gain power, but with only a small selection of button presses to attack within a series of long boss fights, I was soon longing for more depth. Somewhat helping things were the Mitama, souls of dead warriors that could be equipped to my current weapon and armour. Holding R1 with one of the face buttons gave a number of different boosts – the particular reaction depending on the type of Mitama in use. There was a nice range of abilities, from Attack increasing power levels, to the more interesting Control type that could summon Oni. They were all fun to experiment with, but similarly to the weapons they didn’t have quite enough weight to be satisfying in the long-term. Toukiden 2 makes for a fun and relaxing entryway into the genre. Rather surprisingly, though, it was actually a little too easy at times due to my party members being pretty overpowered. There were plenty of moments where I felt like my presence in the battle was completely unnecessary. There is a harder mode unlocked for finishing the story, but it comes a little too late for anyone looking for a decent challenge. My time with Toukiden 2 really sped by, which is a testament to how easy it was to get stuck in to the world. Everything was effortlessly pulled along by the story providing a constant reason to fight. It’s just a shame that the combat lacked something to really sink my teeth into. 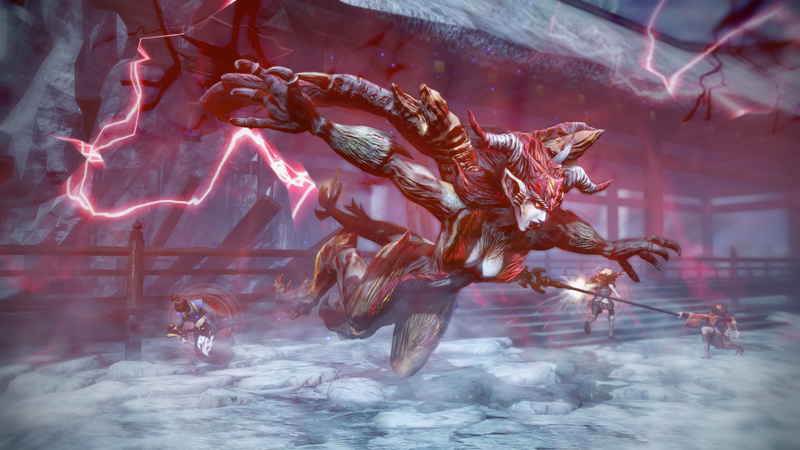 Despite some shortcomings, Toukiden 2 still provided the opportunity to smack down some huge Japanese demons, so anyone who’s been looking for that chance is sure to have a good time. This review is based off a PlayStation 4 version of the game, which we were provided with.